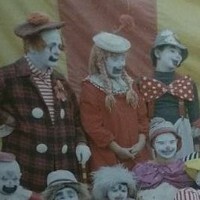 Concerns: epilepsy, organ donation, peace & justice, progressive politics I'm the clown in the middle! Carolina Miranda is the creator of Feminine Harbor. She is also a writer, an educator, and a mother. Christ-follower (#GraceAlone), Husband, Father, Orphancare Advocate, New Floridian - Forbid it, Lord, that I should boast, Save in the death of Christ my God! Apologies up front, I'm not here to brighten your day... well, maybe a little. We're the help we've been waiting on. The Park on Main Hotel is a boutique-style, pet-friendly hotel in Highlands, North Carolina offering luxury suites nestled in the Appalachian Mountains. Astrophysicist, paleontologist, geologist, public speaker, playwright, engineer, artist, outspoken liberal, grandfather, and a fan of graffiti and Waffle House.